Whether it's for fun, adventure, relaxation, exercise, or purely transportation needs, Nantucket is a great island for biking. With only 48.5 square miles of land, everything on the quaint island of Nantucket is just a bike ride away. 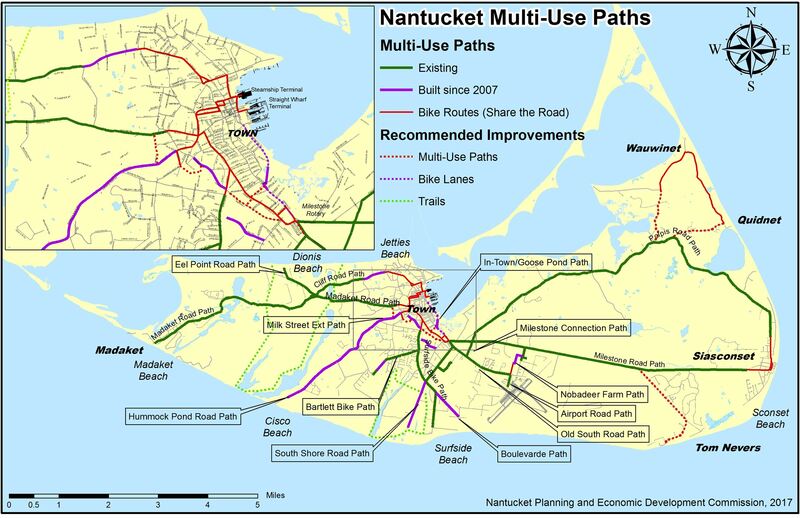 Nantucket boasts over 33 miles of bike paths, most of which are separate from adjacent automobile roads, spanning all over the island. 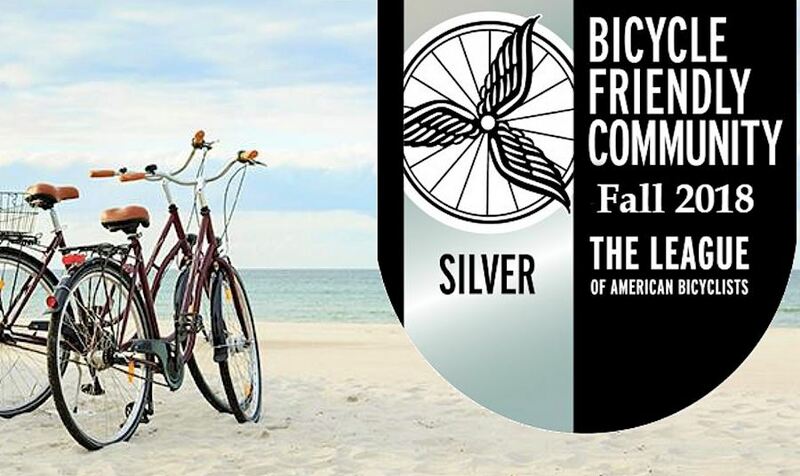 The League of American Bicyclists awarded Nantucket the prestigious silver rating for 2018. This national award is given to communities that demonstrate bike friendliness. Only two other communities were awarded the silver rating in Massachusetts. For a complete list of communities rated for bike friendliness, visit BikeLeague.org. Cisco Beach: 24-minute bike ride from White Elephant, White Elephant Village, The Cottages at the Boat Basin, and Jared Coffin House via Cisco Bike Path. 1-hour, 3-minutes from The Wauwinet via multiple bike paths: Polpis Bike Path, ‘Sconset Bike Path, Old South Rd Bike Path, Fairgrounds Bike Path, Cisco Bike Path. Surfside Beach: 20-minute bike ride from White Elephant, White Elephant Village, The Cottages at the Boat Basin, and Jared Coffin House via Surfside Bike Path. 47-minute bike ride from The Wauwinet via multiple bike paths: Polpis Bike Path, ‘Sconset Bike Path, Old South Rd Bike Path, Fairgrounds Bike Path, Surfside Bike Path. Madaket Beach: 28-minute bike ride from White Elephant, White Elephant Village, The Cottages at the Boat Basin, and Jared Coffin House via Cliff Rd. Bike Path and Madaket Bike Path. 1-hour, 10-minutes from The Wauwinet via Polpis Bike Path and Madaket Bike Path. ‘Sconset Beach: 44-minute bike ride from White Elephant, White Elephant Village, The Cottages at the Boat Basin, and Jared Coffin House via ‘Sconset Bike Path (Milestone Road Path). 33-minute bike ride from The Wauwinet via Popis Bike Path. Great Point Beach: 1-hour, 2-minute ride from White Elephant, White Elephant Village, The Cottages at the Boat Basin, and Jared Coffin House via Polpis Bike Path. 14-minute bike ride via Great Point Road. Note: Must walk to reach farthest point of Brant point, not accessible by bike. Jetties Beach: 5-minute bike ride from White Elephant, White Elephant Village, The Cottages at the Boat Basin, and Jared Coffin House via N Beach St. and Bathing Beach Rd. 53-minute bike ride from The Wauwinet via Polpis Bike Path, ‘Sconset Bike Path, and Bathing Beach Rd. 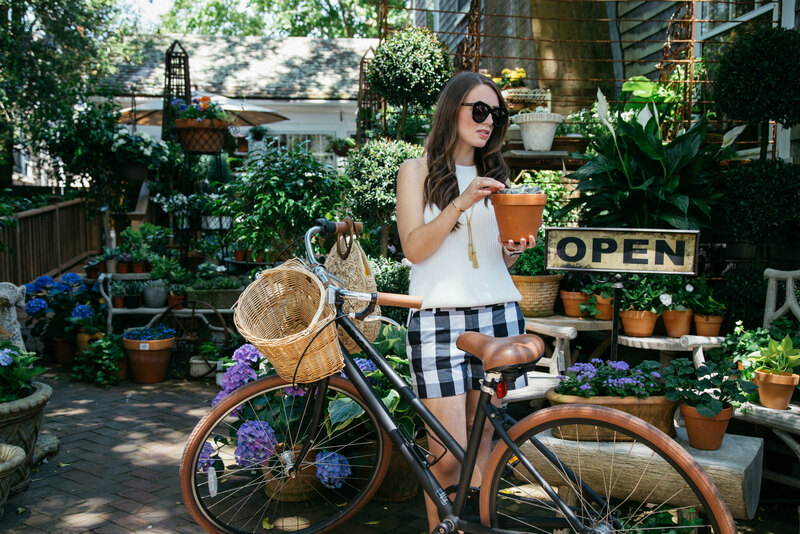 For your convenience, all of our hotels/resorts offer complimentary access to Priority bicycles. 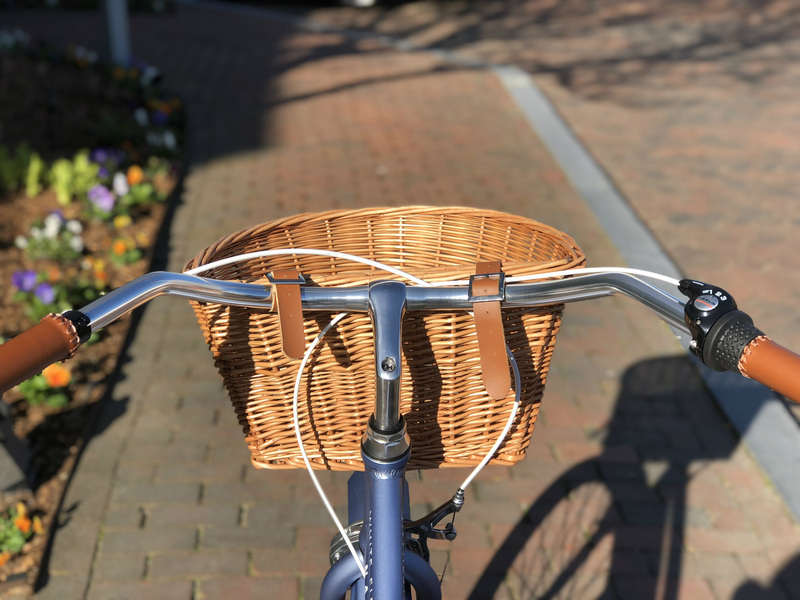 Of course biking is only one way to get around and completely optional--our hotels offer shuttle and van service to the major Nantucket destinations and beaches. For a full list of complimentary services provided at our individual properties, see Complimentary Services. If you do choose to hop on a bike and adventure the island, be mindful that Nantucket requires all children 16 years and under to wear a helmet and biking on sidewalks in Nantucket Town is prohibited.